Ramblings of a football trader: The fallacy of the great manager! My second post will be about managers, namely what makes a great manager, an example of an overrated manager and why is this important when you trade! The definition of consensual metrics to rank professionals, in a reasonable way, it´s a tough issue in several areas and football it’s not an exception. So, the easiest way to rate a manager is based on titles, but is it fair? Ok, silverware is the ultimate goal of every football club, so of course it must be one of the rating items, although it is clear that the chance of winning titles depends on the club you are managing. As an example, if you put the twenty best coaches in the world in the Premier League, there would be only one champion, there would still be three relegated teams and probably the same number of sackings as usual. So it is all a matter of perspective. When I´m rating a manager from a trading perspective, and throughout the years I created a comprehensive database on that, I rate winning the national league as a higher achievement than winning cup competitions. The reasoning behind this, is the same as why I value a 38 game sample more than a 10 game one, as a trader; in one word: variance. As an example, Roberto di Matteo won the Champions League with Chelsea, is he a great manager? I don´t think so. For a manager with some experience, I also tend to look at past jobs and understanding what the club was before and after the arrival of said manager. 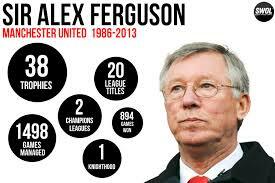 An obvious success example that comes to mind is the legacy of Sir Alex Ferguson in Manchester United. Finally, the most important aspects as a trader: the way the team is organized on the pitch, if it has a clear identity or if it adapts to the opposition and the team’s playing style. Why is this important as a trader? Football like other sports has a high unpredictability component, so the best you can do to prepare for a game is try to understand how it will be played, based on the playing styles of the managers. Practical and simple example: if you see Swansea being forced to play long balls as a consequence of a high pressure strategy from the opposition, it is a really bad sign for their chances as they have a very marked identity of playing a short passing game, which is very pleasing by the way! I must say I admire the vision of the Swansea board to choose managers: Roberto Martinez, Paulo Sousa, Brendan Rodgers and Michael Laudrup. Gary Monk was a player under all these coaches and seems to share the same ideas. By the way, have a look at Fiorentina this season. 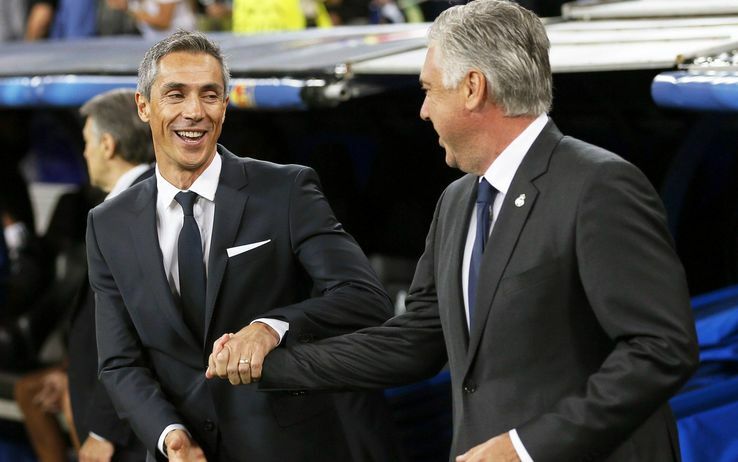 They already had a good manager in Vincenzo Montella, but I rate Paulo Sousa very highly and I think he will become a top coach in the years to come. Watch Basel vs Real Madrid from last season if you want to know why! If you are lazy like me, the answer is: great football ideas, which if applied to a better set of players can turn into great things. This leads me to speak about Carlo Ancelotti as the perfect example of what I call the fallacy of the great manager. As a disclaimer, I understand why he is always appointed to the top clubs as he has a lot of important qualities for this type of job: a gentleman, brilliant manager of egos, well-spoken, high-profile and of course 3 Champions League titles. The fact is that he is training top clubs (Juventus, Milan, Chelsea, PSG and Real Madrid) since 1999 and in a total of 16 seasons he won a total of 3 league titles. Furthermore, he always had at least the same and usually more financial means that the rival managers. On the pitch, it is not great either; as a recent example, in Real Madrid he could never impose a balanced possession style. Instead, he developed an unbalanced fast transitions system, which was able to demolish the small clubs (while often conceding goals) but always had trouble against similar or well-managed opposition. 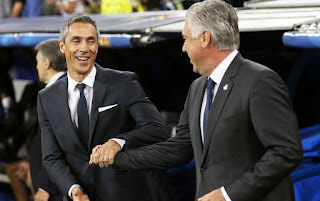 Of course if you join Ronaldo, Bale, Modric, Kroos/Xabi Alonso, Benzema and James Rodriguez/ Di Maria on the same pitch you will get magic moments often and that´s why they trashed Bayern, in the 2014 CL semi-final, with some trademark lethal offensive transitions! The bottom-line is: if you train top players you will always have a change of winning titles and that´s why some public opinion misconceptions arise when it comes to rate managers! Sousa has to learn communicate. In other case I don't see big things coming. Basel is very happy that he left the clup. In my opinion he is arrogant like Mourinho, but has not the same achievements yet. Nice blog so far, I look forward to read more. Good luck with the blog and the trading (when you can do it again). I can tell you that Mourinho is very polished nowadays, compared to the arrogance he showed in Portugal even before he had some kind of success! About Sousa, I only heard him 4 or 5 times in press-conferences and I thought he was confident and self-assured but not arrogant. Of course, you, being in Switzerland, have a more complete view. Football-wise, his ideas are perfectly suited to manage a big club!